By understanding the archetype most aligned with their goals, entrepreneurs will learn how to grow their business into a powerful platform that can leverage change, and even change the foundations that create our most pressing problems and issues. 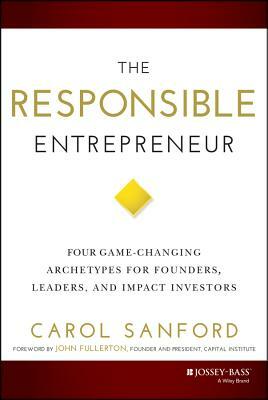 To illustrate these principles in action, The Responsible Entrepreneur features case studies based on long-term work and in-depth interviews with Google Innovation Labs, Indigenous Designs (the primary supplier for Eileen Fisher), FishPeople (who supply Costco and Google with gourmet seafood entrees), and many more. For anyone who wants to make a difference in the way businesses affect the world, The Responsible Entrepreneur lays out ways to make that aspiration focused and doable.